The Mustard Revolution – A Brief History. – Norfolk Tales, Myths & More! The Mustard Revolution – A Brief History. On the 3rd April 1814, Jeremiah Colman of Pockthorpe Towermill, leased Stoke Holy Cross watermill as a going concern and paid £51 2s 0d to Edward Armes for his stock of mustard. 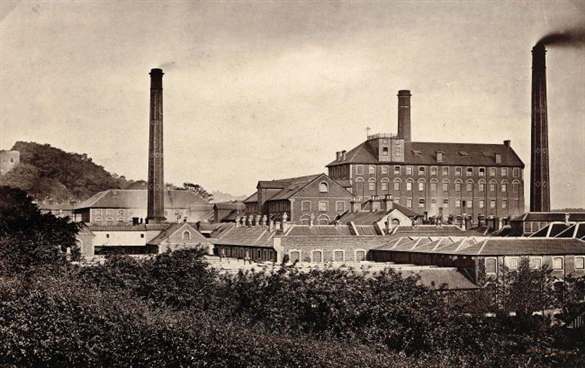 Thus began the Mill’s most prosperous 50 year period at Stoke as Colmans’ increased its range of products with the introduction of starch manufacture. Jeremiah Colman was originally a farmer and had also owned Bawburgh Mill and Pockthorpe Towermill which was near Magdalen Gates in Norwich. He had no children and adopted James who was the eldest of his brother Robert’s 15 children. Jeremiah was a devout Baptist, kindly, honest and a good master. Under his ownership, between 1814 and 1850, wages rose. Boys of 8 or 9 worked 12 hour shifts with two breaks and earned 3d per hour. A working day was normally 6.00am to 6.00pm, although sometimes a shift could go on until midnight; many workers then faced a long walk home. February 15th 1823 was the day when Jeremiah Colman took his 22 year old nephew, James, into partnership. James began with a quarter share which increased to one-third in 1827 and half in 1831. Thus progressed the J & J Colman business which was to have such a beneficial effect on the life of the city, county and leading eventually to a change of the greatest importance to an agriculural region – the efficient processing, packaging and distribution of foodstuffs by industrial methods. “Old” Jeremiah died on 3rd December 1851, aged 74. On 24th November 1853 James Colman, his adopted nephew and sucessor also died. His son, Jeremiah James Colman, then took over. When the 24 year old control of the family business, he was the third member of the family to do so. At the time, Jeremiah James Colman controlled a small local company selling modest amounts of mustard. In the space of 50 years he was build the company into a global brand using innovative marketing techniques and through his hard-work, honesty and integrity as a business man. and proved to be a brilliant innovator whose masterstrokes included creating Colman’s famous bull’s head trademark in 1855 and moving, in 1862, from nearby Stoke Holy Cross to the Carrow enclave, which was bordered by beneficial railway and river links. The young entrepreneur had also identified a ready-made workforce in the city – cloth workers made redundant by the industry’s exodus to northern mills. 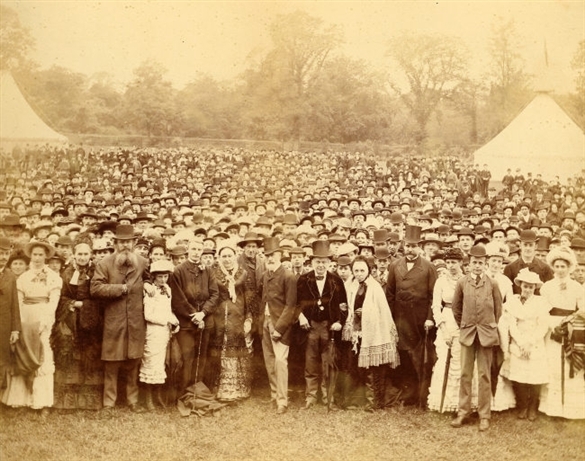 The Colman family always took a benevolent interest in their workforce and, increasingly as the Company grew, supplied schooling and contributing to the social life of its staff, e.g. Christmas dinners in the granary and staff outings. In time. the Company became one of the first to offer a meals service for its workers – 4p bought hot meat, vegitable stew and a pint of coffee. 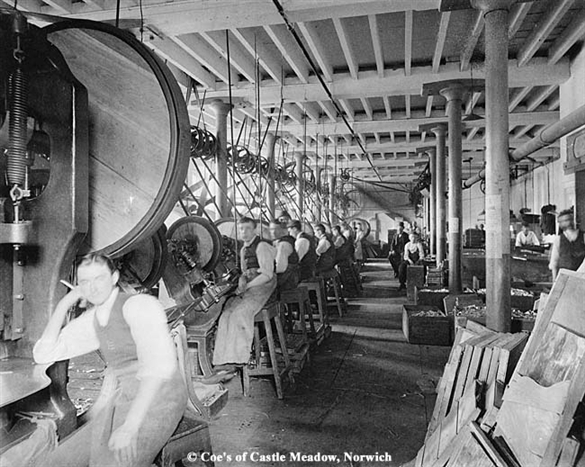 Colman’s was also to provide a clothing club and lodgings for working girls, followed by a lending library and a pension fund; but these benefits were provided once the Company had grown to many hundres of employees and had moved to the larger premises of Carrow Works in Norwich. He also followed his great uncle’s example in educating his employees’ children, building a school on Carrow Hill in 1864, years before education was compulsory, and provided sick benefits, and savings and pensions schemes. In 1878, the Company employed the first indudtrial nurse, Philippa Flowerday. Colman’s were also to build coffins for workers and their families, and build and rent out houses to workers and pensioners. Many were in neighbouring Lakenham and Trowse, and some of the terraces were said to have had mustard-coloured front doors. Former Colman Cottages built in School Terrace, Norwich by the Company for employees. When Jeremiah James Colman was asked how he had made such a vast fortune from the sale of mustard he replied ‘I make my money from the mustard that people throw away on the sides of their plate’. In 1856, Colman’s employed just 200 people, by 1862 this had risen to 600 and by the time of his death in 1898 it was closer to 2,000. 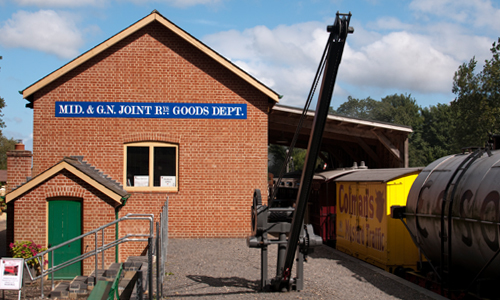 He expanded the range of products under production to include laundry blue, flour and starch. The story of the rise of Colman’s and of the work and life of Jeremiah James Colman is fundamental to understanding the history of Norwich in the 19th century. Colman’s influence can be seen everywhere and his morals, actions and achievements drastically altered the lives of many thousands of people living in Norwich. For this weeks blog I would like to focus on the life and work of Jeremiah James Colman and highlight some of the related objects we hold in our reserve collections. There was a large fire on the 30th June 1881 in the mustard packing factory. 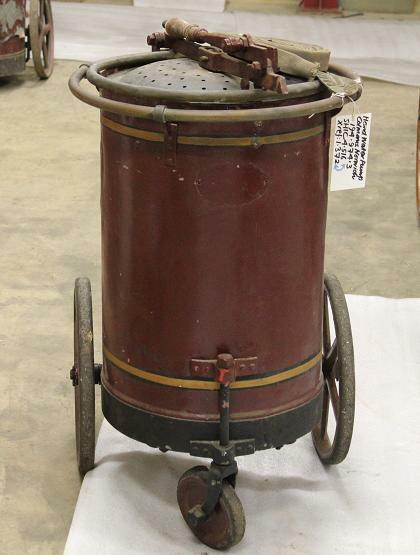 After this Colman acquired a 600 gallon steam engine (see image below) for use at the site and employed a dedicated team of fire fighters. 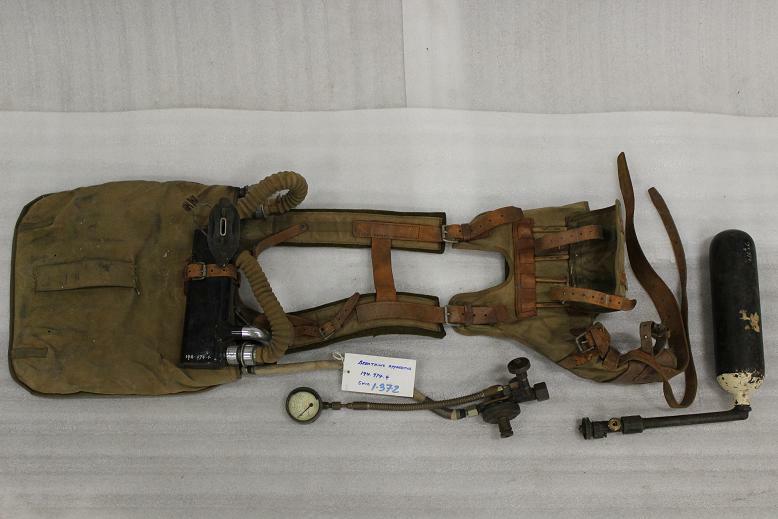 Here in the superstore we have many other objects used by the fire fighting department at Carrow Works. 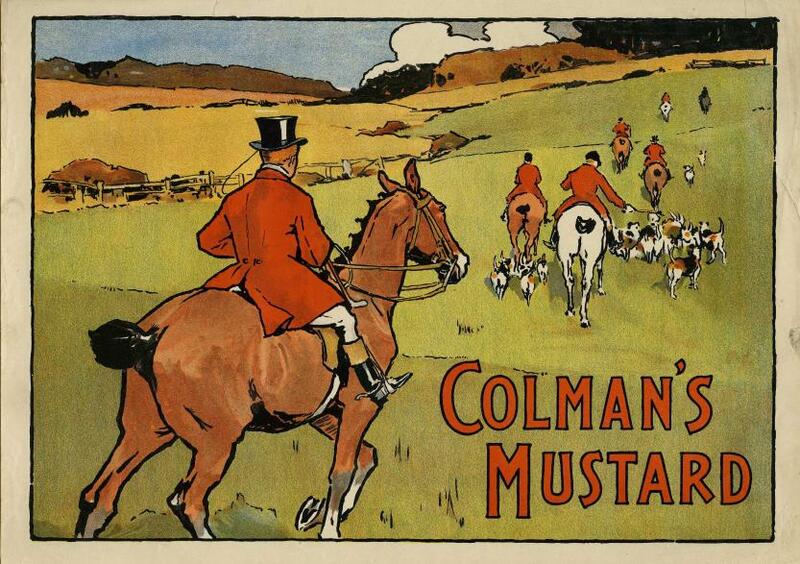 The rapid growth of Colman’s Mustard runs counter to the narrative of 19th century industrial growth that is so well known. In an age characterised by child labour, unsafe working environments and long hours for low pay, Colman displayed a remarkable duty of care to his employee’s. Many an industrialist claimed they could ill afford to treat their workers better or pay them more and to do so, would destroy their business and the nations economy. Colman demonstrated the ability to dramatically grow a profitable business whilst treating his employee’s with humanity. 20 years before parliament made any provision for compulsory education, Colman set up a school for his workers children. When the school opened, Colman sent a letter to each of his employee’s extolling the benefits of education. A nursery was later established for younger children, a nurse, called Phillipa Flowerday was employed and a dispensary set up for the benefit of his workers. In 1872 he set up a self-help medical club for his workers, encouraging them to contribute, matching their contributions with his own donations. The company owned hundreds of homes and accommodation was provided for many workers, but special provision was made for single women who were provided with low-cost accommodation. 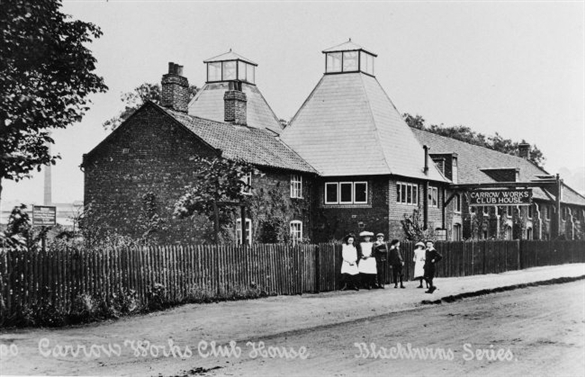 He even provided public houses in which his workforce could enjoy a pint or two!! A clothing club was established; this made saving towards the cost of clothing much easier, additionally the company contributed to the savings scheme. From 1874 a dressmaking teacher was hired to help female employee’s learn new skills that could be used in the home and to save money. In fact a whole series of educational classes were provided free of charge to all employee’s. Colman insisted his employee’s were insured against sickness or injury, the company ran its own scheme for workers who could choose between that or joining a friendly society. From 1864 the dispensary employed a doctor to work alongside the nurse. When Jeremiah James Colman died he left £2,000 in his will to the employee’s trust and the money from this was used to set up a pension fund. By the time he had departed Colman had built up a system of nurseries, schools, medical care, food provision, housing and pensions. A system of protection for his workers from cradle to grave and 50 years before the creation of the welfare state! Such was Colman’s religious conviction; he had even been tempted to turn down the opportunity to run the family business. He feared it would impinge upon the time he could devote to religion and self improvement. He questioned the morality of wealth and feared he would become corrupted and greedy. So how was a small local company able to transform itself into one of the top 100 British companies in just under 50 years, whilst simultaneously providing a decent living for its workforce? Marketing was a key to their success, and Jeremiah James Colman was the man driving this forwards. In 1855 they adopted the now instantly recognisable bright yellow packaging with the distinctive bulls head and in 1865 they gained a royal warrant from Queen Victoria. Colman’s products are still used by the Royal household today. They were one of the first companies to really push forward the marketing of their products to a consumer market. As early as the 1840’s Colman’s made the decision to start selling their products in much smaller packages (penny tins). This enabled smaller amounts to be purchased more cheaply which opened up a huge new potential customer base. Railway carriages like the one below were decorated in the distinctive brand colours to transport their goods across the country. Before the age of Television this allowed the whole country to see the Colmans imagery. By the 1870’s Carrow had its very own marketing department, and by the late 1890s they had started hiring famous artists to create high quality advertising posters for them. Including the illustrator John Hassall and later the painter Alfred John Munnings. At the young age of 29 he was elected to Norwich Town Council. He was sheriff in 1862-63, mayor 1867-68, in 1869 he became a magistrate for Norwich and then for Norfolk in 1872. 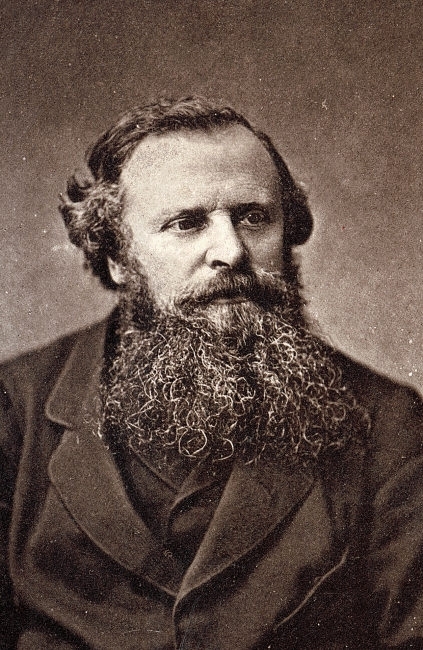 In 1871 he was elected as a liberal MP for Norwich, serving for 25 years. His political career was mixed, he did not thrive in the Houses of Parliament as a Liberal MP in part due to his poor oratory skills, but also he very quickly became disillusioned with national politics. He was however much more successful as a local politician he sought to end the corruption for which Norwich was well known. He was a part of Norwich Young Men’s Mutual Improvement Society, this group met regularly and spent their time writing, reading and debating the great questions of the day focusing on politics, religion, society, and morality. He was closely involved with the successful launch of the Eastern Daily Press in 1870 (a newspaper that is still going strong) and fought for and won having a preservation order placed upon the city walls. Colman was one of the leaders of a subscription campaign that sought to argue for all public buildings in Norwich being used for the public benefit. By 1886 they had been successful in securing both the Castle and Blackfriars Hall for public use. At the time Colman was a trustee of Norwich Museums, whose collections were then housed in a purpose built building on Exchange Street. After closing as a prison the castle was offered to both the city and county councils for purchase, but they were unwilling to met such expense. Briefly the decision had been made to allow the castle to become a ruin, however banker John Henry Gurney purchased the castle, and it re-opened as the museum we know today. In the winter of 1896 he visited Egypt with several family members, for the purpose of offering re-cooperation to his ill son Alan. Sadly Alan died in February 1897 and the family headed home, however Colman procured over 250 artifacts whilst there. In 1921 these were donated to Norwich Museums by his daughters and include an Egyptian shroud! After his son had died he purchased and donated the land that was used to build the extension of the Jenny Lind Hospital. In the space of three and a half years Colman lost his son Alan his wife Caroline in 1895 and then his mother in 1898, himself dying at home in Corton, Suffolk shortly afterwards. 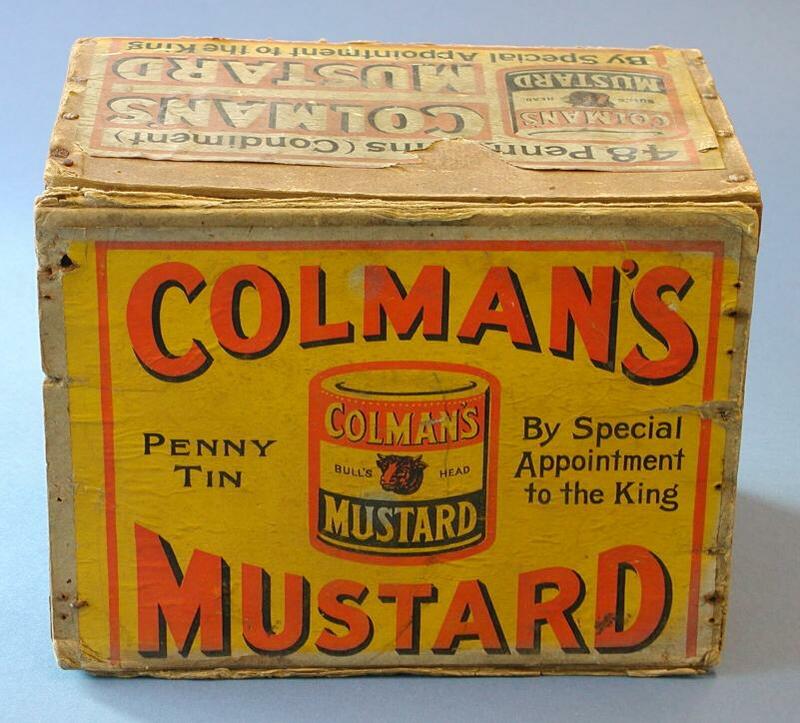 His funeral procession numbered 1200 people, which is perhaps the greatest indication of how important Jeremiah James Colman was to so many people in 19th century Norwich and in the 21st century we have much more than just Mustard to thank Colman for! !